The BIGGEST Shopping Day is HERE!! The biggest shopping day is here! BLACK FRIDAY! It’s Kim here on this special day to bring you the info on all the Bella Gypsy goodies that are hitting the store today! I hope all my American friends had a great Thanksgiving and enjoyed spending time with family and friends! I hope all of you are ready to take advantage of the awesome sales today and are all brave enough to venture out (or maybe you are smart enough to stay in and just shop online)! DH and I started our shopping already and can’t wait until Christmas to give the boys their presents!! Bella Gypsy has an amazing sale this weekend!! Their entire store is 50% off through Monday!! So be sure to check out their stores at Gotta Pixel or ACOT this weekend! It’s Christmas Time in the Bella Gypsy store! Yesterday you saw awesome peeks for a HUGE collection and today I get to reveal the collection! 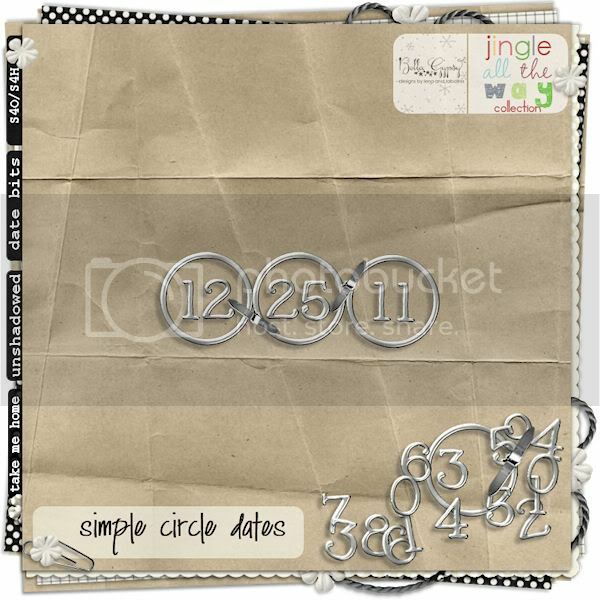 The Jingle All The Way Collection is fabulous…4 kits and 4 extras…that will make scrapping those holiday memories easier! and here are the extras….if you get the Bundle you will get the alphas, papers, word bits and dates for FREE! Here’s a little freebie for you! Click HERE or on the preview for your download link!! I hope everyone has a FABULOUS holiday season! See you next week! Thanks for the fabulous freebies!